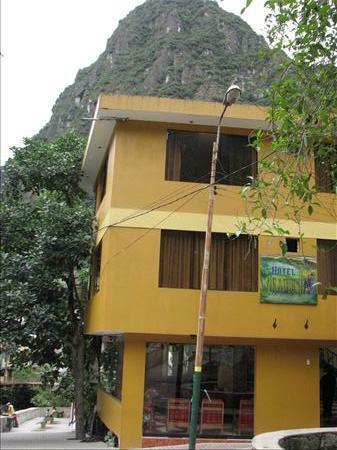 Hotel Wiracocha Inn is located three blocks away from the main square of Augus Calientes. The 27 rooms of this hotel are equipped with very basic arrangements. Though every single room is attached to a private bathroom, rooms or bathrooms are not fancy or spacious enough to please you..
One more thing if you are scared of bug bites then you will have to close windows before it is dark outside, as there are no window screens to keep the bugs out. The nice thing is you can enjoy the view of the river and its gentle breeze if you can get the corner rooms. The front desk staffs here are nice and friendly. The hotel charge includes continental/American breakfast and 24 hr hot water. The hotel also offers phone & fax, partial room service, Restaurant, Security box, laundry, Cable/Satellite TV, Alarm clock, Room service. 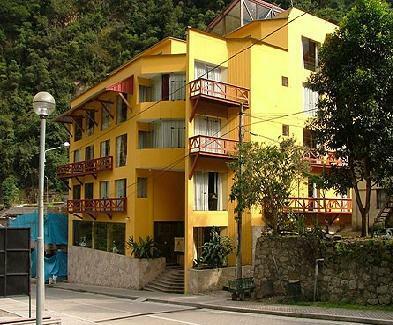 The location of this hotel is just 5 minutes from the bus and train station. Though rooms are a little bit outdated, kept nice and tidy. The staffs here are very helpful and ready to serve your breakfast as early as possible and pack your launch also. So you will feel comfortable if you plan a short stay at a lower cost.